I was given a pair of the Chrome Kursk Pro‘s to test for fixed mag a few years ago now. I must admit I was wary at first as I was very happy with the Sidi dragons that I was using and didn’t feel the need to replace them with a lower level shoe. Especially when I was working as a courier and would be riding around in them all day. Though after lacing them up and riding with them for the first time I was very impressed! They are solid to ride in, I thought they would feel all soggy and the laces would not provide enough support when riding fixed. I am happy to say I was totally wrong, not only did they look good they worked really well too. These shoes are a fraction of the price of a pair of Sidi’s, and function just as well. 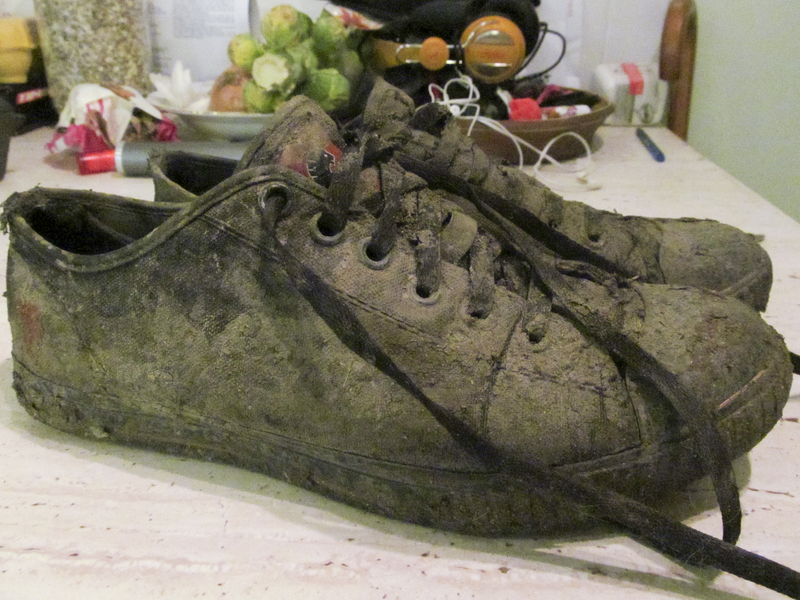 I have used mine for everything for the past couple of years and they are still going strong (albeit slightly dirty). A few of the key things I noticed about these is the warmth compared to other cycle shoes, the canvas isn’t the most breathable material though it keeps the wind, rain and dirt more away from your feet than my Sidi’s do. The downside to this being they get a bit warm in the summer, but not that warm. I’ve been riding a bit of cyclocross in these lately, and they have preformed tremendously! Even caked in the thickest mud I did not have a problem clipping into my pedals, and they kept my feet warm and dryish…in the muddiest conditions. If you are looking for a quality pair of cycle shoes that you can walk, run (not marathons) in comfortably and can take all the abuse you can throw at them and will last you years then look no further than the Chrome Kursk Pros! Below is a list of good and bad points…as you can see I struggled to find bad points. Don’t look as cool as sidi’s. Not as supportive as cycle shoes. Also Laces are wayy to long. I have to triple tie mine to keep them from getting in the chain.